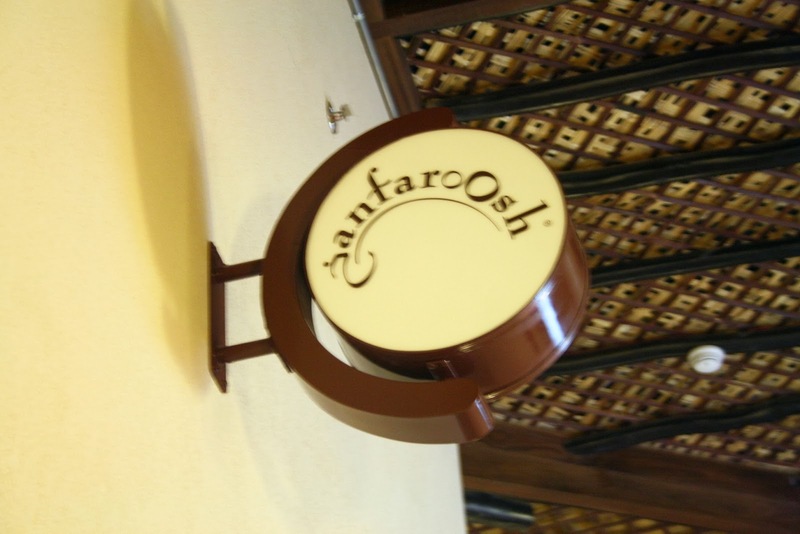 The good news is that Khnfaroosh currently owns a store which recently opened in The Avenues, Souk .. So this time whenever I get possesed with the bang of craving for Khanfaroosh I'd simply go to mall and have my fix on spot.. The concept is all about having a traditional Kuwaiti desserts which is gers egaily, a sponge cake infused with saffron and cardamom and covered with Belgian milk chocolate..
الحين لما يصير بخاطري اقدر سيدة اروح المول واخذ اللي ابيه بنفس اللحظة.. 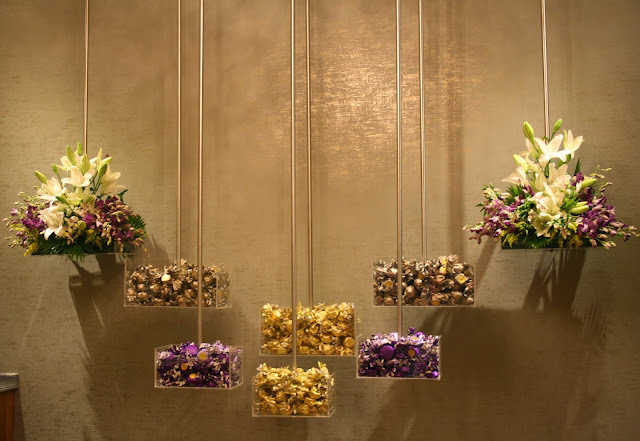 The wall of the store had featured Khanfaroosh products along the years, the highlight was their colorful foil wrappings that stood out against the subtle colouring of the overall decor.. I loved how they displayed the tea cakes in those ceiling stands.. For customers to get a better view of the products their selling.. They simply couldn't have opened in a better time, since the weather is getting colder and those yummy treats would go nicely along a cuppa tea with milk..